Is it too curved, collapsing your ribcage? Sit or stand taller which should straighten the curve out... but don't stiffen, stay flexible in your spine. Have they become 'rib anchors'? Try using your hands to communicate... they will help keep your ribcage open, which is the prime fix for breath issues. Is it balanced over your tailbone? Try moving it back until it is balanced over tailbone or heel instead of the balls of your feet. Are they locked? Unlock them so you can have use of your legs for power. Is it tight? Let go there... the belly should be able to naturally move open and then tighten low is such a way the the bottom of the ribcage stays wide. 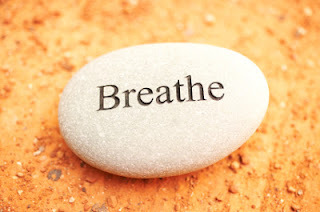 Especially when it comes to balancing breath support and breath control, vocal training can really improve your breathing for speaking and singing. Hit me up for a lesson in office, by phone or Skype, or buy my Power, Path and Performance vocal training course and conquer your breath problems once and for all. Judy, you always give such good advice. Love your posts. May I add, don't smoke, even a little. And stay away from the second hand stuff as much as you can. You are SO very right, Dr. Hubbard. It matters- one can never sing to the best of which they are capable if they smoke. It of course affects not only the breathing but also the health of the larynx. This fact alone can help folks dedicated to vocal excellence quit. Thank you for the reminder!